Maj Richard Wälde, Oct 1940 - ? 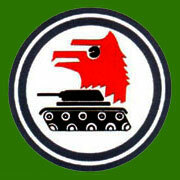 Formed 1 Nov 1938 in Stargard from Stab/Aufkl.Gruppe 12. On 26 Aug 1939 redesignatedKoluft Heeresgruppe Nord. Reformed Jul 1940, from Apr 1941 as Gruppenfligerstab 21. In May 1942 became Stab/NAGr.14. Formed 1 Nov 1938 in Stargard from 1./Aufkl.Gruppe 12, but few days later became 3./Aufkl.Gruppe 21. Reformed Nov 1938 in Stargard. On 1 Jun 1944 redesignated 1./NAGr.3. Served under Stab/NAGr.9 (May 1942 - Oct 1942), Stab/NAGr.2 (Nov 1942), Stab/NAGr.9 (Dec 1942 - Aug 1943; Nov 1943 - Apr 1944) and Stab/NAGr.1 (Sep 1943 - Oct 1943). 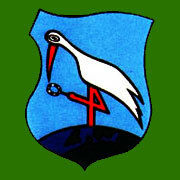 Formed 1 Nov 1938 in Stargard from 2./Aufkl.Gruppe 12. In 1 Sep 1943 redesignated 1./NAGr.5. Served under Stab/NAGr.13 (May 1942 - Oct 1942), Stab/NAGr.12 (Nov 1942) and Stab/NAGr.8 (Dec 1942 - Jul 1943). 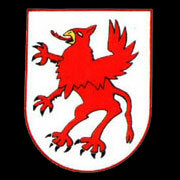 Formed Nov 1938 in Stargard from 1./Aufkl.Gruppe 21. On 1 Aug 1944 redesignated 1./NAGr.6. Served under Stab/NAGr.2 (May 1942 - Aug 1942), Stab/NAGr.10 (Sep 1942 - May 1944), Stab/NAGr.4 (Jun 1944) and Stab/NAGr.6 (Jul 1944). Formed Jan 1939 in Stargard. 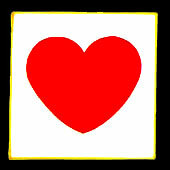 Formed Dec 1940 in Stargard from parts of 1.(H)/21. Formed Dec 1940 in Stargard from parts of 2.(H)/21. Formed Dec 1940 in Stargard from parts of 4.(H)/21. Disbanded Jan 1942, with some crews transferred to Stabsstaffel/St.G.2.